Cloverdale BIA - A good place to grow, since 1870. Created in 1995, with help from local businesses, the Cloverdale Chamber (formerly Cloverdale Board of Trade) and the City of Surrey; the BIA has embarked on a number of initiatives and programs that enhance the business community. The BIA organizes several successful annual community events like the Bed Races, the Chili Cook-off, and the Rodeo Parade & Santa Parade. The organization works closely with the City of Surrey on a number of beautification and safety initiatives that improve the look of the community, especially our iconic hanging baskets on the historic main street. The BIA is a strong advocate for over 260 local businesses and works closely with the City of Surrey on development in the area along with a strong focus on improving transportation and transit. Parking enhancements have been one of the Association’s strongest priorities to ensure that space is more effectively managed and modernized with the addition of new technology like electric vehicle charging stations. The BIA is run by a volunteer board of directors who are elected members from the local business and property owners’ community. There are also a number of other volunteers and organizations like the Surrey Assoc. for Community Living, the BC Vintage Truck Museum and Surrey Crime Prevention Society that aid the BIA in numerous ways. To make the Cloverdale Town Centre the destination choice for residents for shopping, dining, living, entertainment and other services; and to act as a catalyst for vibrancy and prosperity in the area through advocacy, marketing, events, improvements and co-operative initiatives. The Cloverdale BIA has held annual events for over 20 years and continues to do so to help the community prosper. 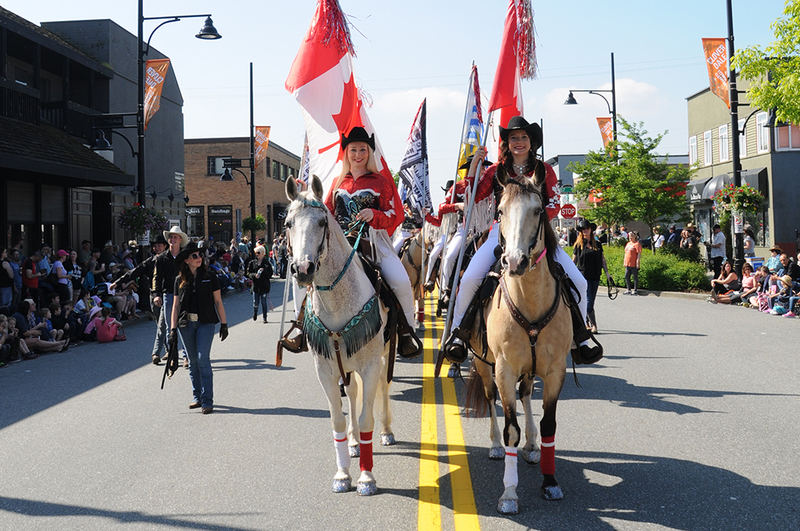 Most notably, the BIA organized the 72nd Annual Rodeo Parade in 2018 which averages 10000 visitors with 1100 participants. We are also responsible for holding the town's annual Bed Races and Bike Parade in partnership with the Cloverdale Chamber. 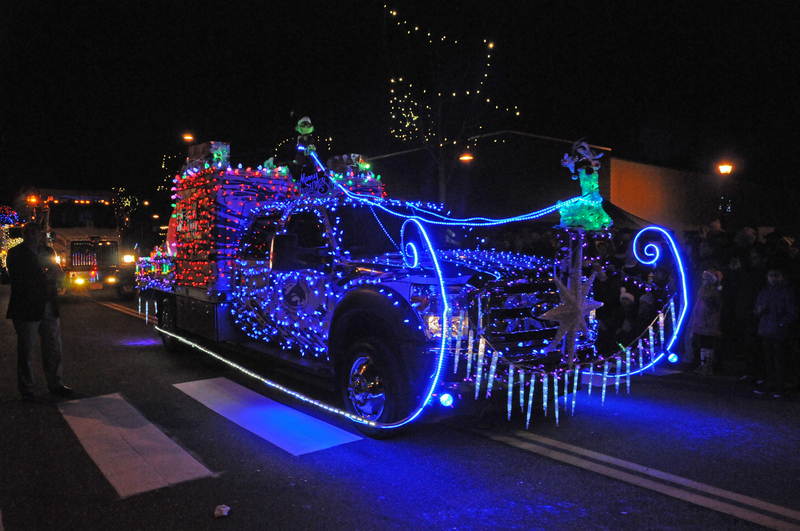 During the winter holiday season, the BIA holds the annual Santa Parade in the spirit of the holidays. The Cloverdale BIA had a very successful year in 2017 with all of its annual events growing in size and quality by the year. 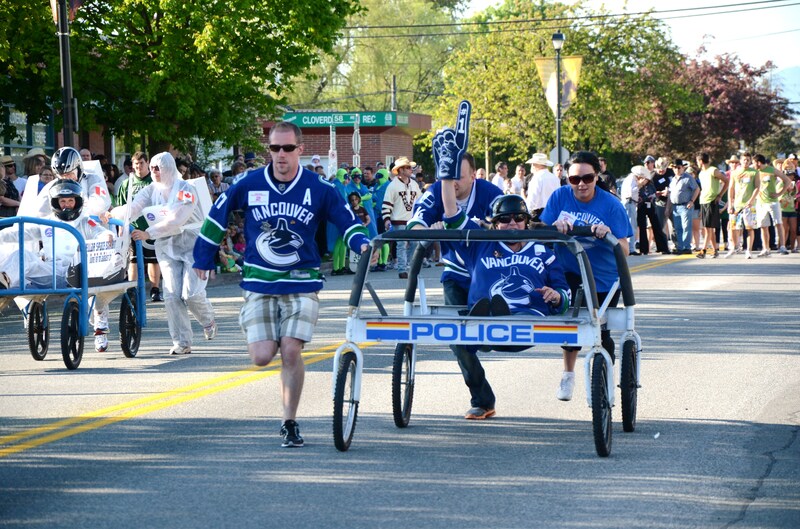 The BIA organized the 40th Annual Bed Races & Bike Parade in partnership with the Cloverdale Chamber. 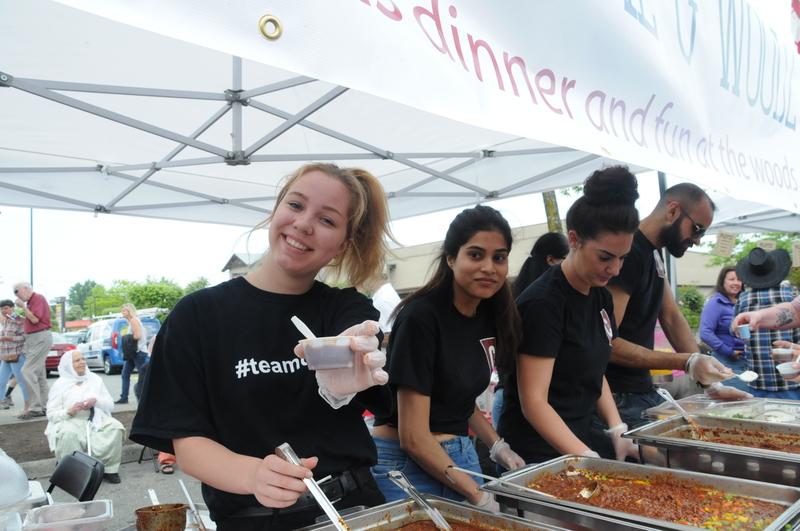 We also organized the 20th Annual Chili Cook-off at Clover Square Village Mall & produced the 72nd Annual Rodeo Parade which averages 10,000 visitors, 1000 participants, and over 60 sponsors! Royal Canadian Legion – Cloverdale Br. WILL MAKE THE BEST FIRST IMPRESSION OF CLOVERDALE! 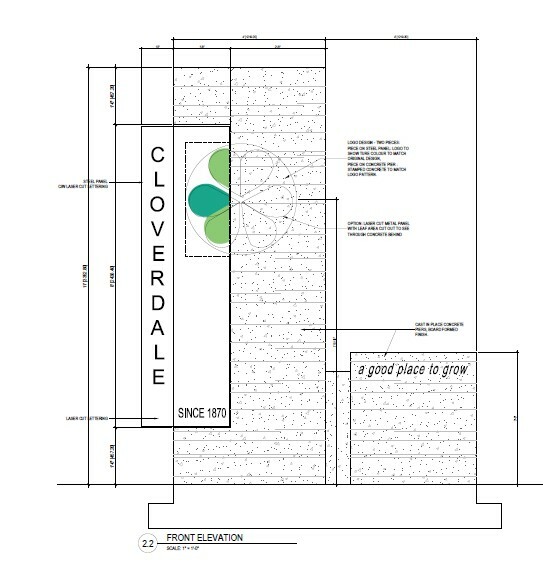 After decades of discussion, a new primary “Cloverdale” Community Gateway Sign will be built by a busy intersection in the Town Centre at 58 Ave and the Highway #15 By-Pass in the spring of 2019. The new 12 foot sign will proudly welcome residents and visitors to the community of Cloverdale – A Good Place to Grow since 1870! The gateway will be nestled between three older trees located on the North West corner of the new Hawthorne TownHome development. This primary community gateway is the first of several signs that will brand Cloverdale and will create a sense of place and heritage for the historic district in Surrey. Funding for the Gateway sign has been provided in part by the BC Government (25%), the BIA (25%) and mostly by Mosaic Homes (50%). The Cloverdale BIA is working with the City of Surrey to locate several gateway signs that will border the Town Centre. 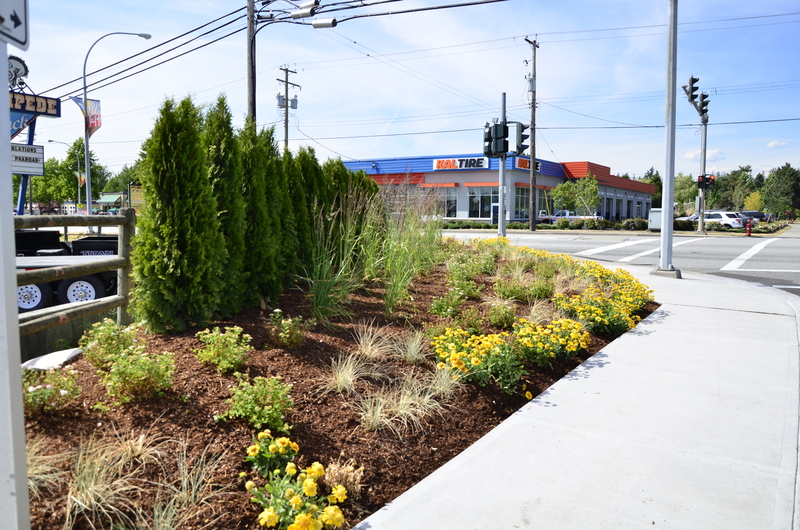 The second location for a sign that proudly welcomes all visitors will be located in a landscaping bed located on the southwest corner of Highway #10 and 180 Street. 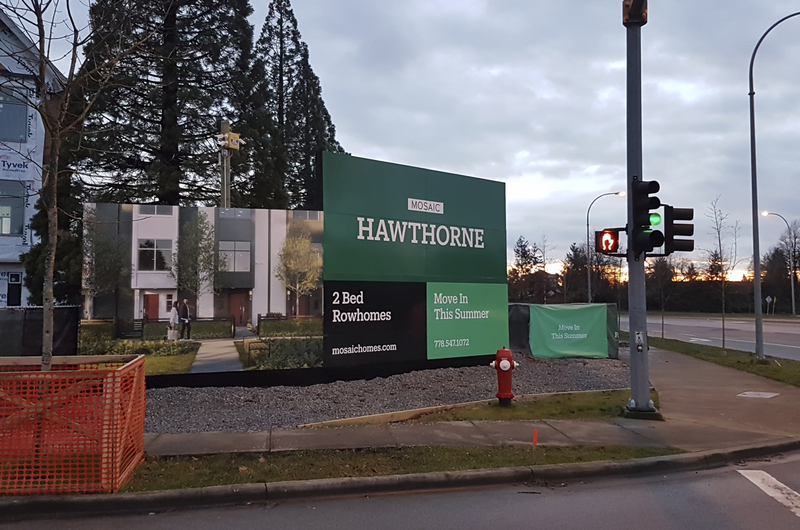 The sign location is directly across the street from the Kwantlen University and is very visible to west bound traffic coming down the highway as it comes through the Town Centre. Once again this project should be also completed by the spring of 2019. The sign will be illuminated and once again will promote the Town Centre’s brand of A Good Place to Grow since 1870! The Cloverdale BIA is working with the City of Surrey on several other locations and will also be looking at creating Gateway signs for the historic business district on 176 Street just north of Highway #10. More ambitious plans are also at the concept stage that will include landscaping/signage surrounding the busy intersection at Highway #10 (56 Ave) and Highway #15 (175 St).